The afternoon sun lights the narrow alleys and pathways of a settlement in Ghevra village. At this time of day, the area looks rather deserted. Clothes are hung out to dry and their shadows dance in the path. This is just another field trip for a group of students at Delhi College of Arts and Commerce (DCAC) looking forward to making a change. Change is ambiguous and relative, but it should be measured in terms of potential and sustainability, believes the team of Enactus DCAC. This comes out in the projects the undergraduates part of Enactus have been giving their time to after a long day at college. Truth be told, a dream would continue to be an impossibility, if not acted upon. One needs to wake up and take the stand that needs to be taken. 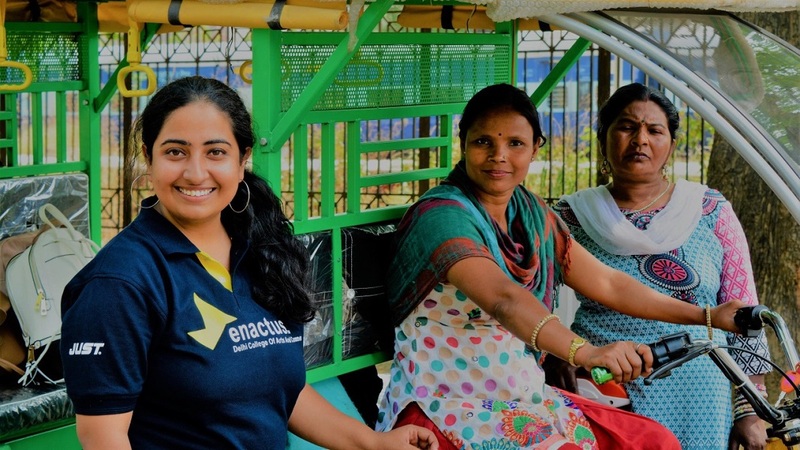 Enactus is a nonprofit community of students, academics and business leaders. At Enactus, we are constantly engaged in making and presenting unique ideas, coordinating, collaborating and brainstorming other ideas, and coming up with sustainable business models for the growth of society as a whole. Enactus DCAC has never stepped back from any opportunity. The motivated members of this organization have decided to make human progress their business! The young men are not just students but more aptly, they are huge bundles of energy, creativity and willingness to bring change, tied together. It’s hard for us to be conscious of the reality for most rural and many urban women. The closest our busy lives allow us to come is reading a newspaper article filled with statistics and questions. The power of entrepreneurial action is not limited to profitmaking. 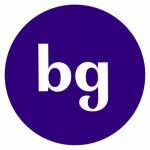 These students are working to break the boundaries that have been dictated by outdated gender roles. 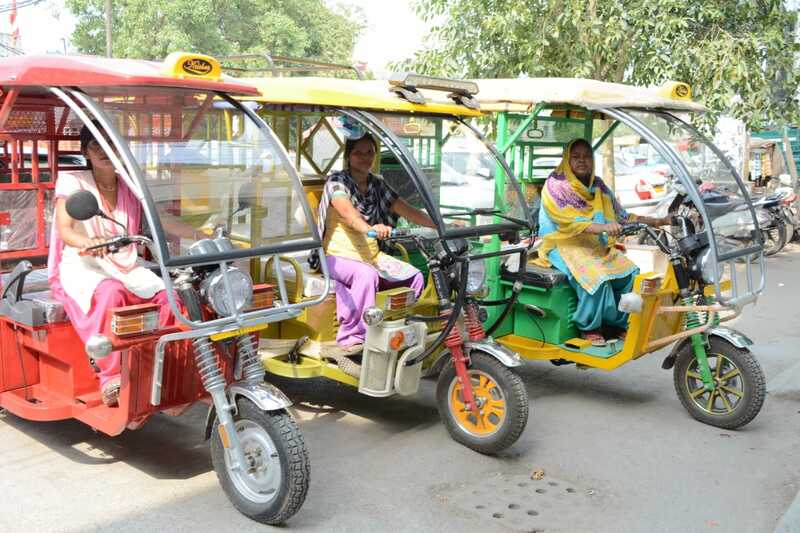 The idea is to provide underprivileged women with e-rickshaws and e-bikes as a means of sustainable income, with the objective of empowering them to become self-dependent as the bread earners for their families. 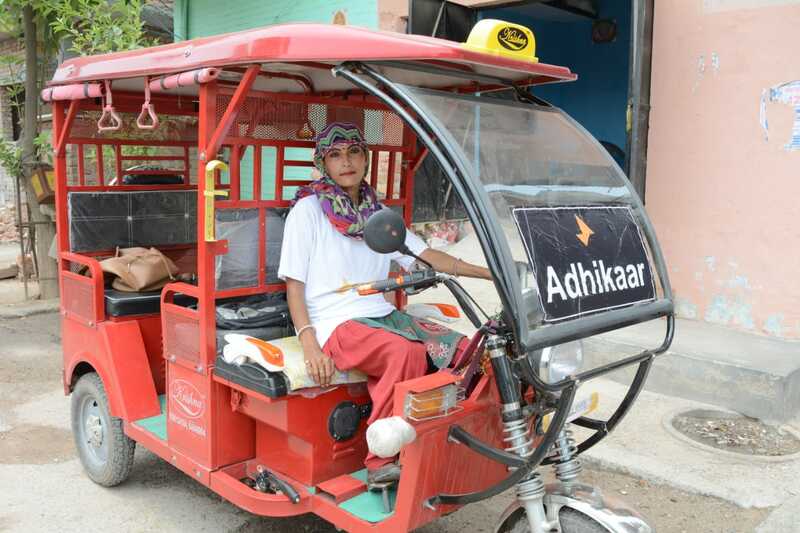 Project Adhikaar aims at empowering the poverty-stricken women by providing them e-rickshaws at subsidized rates, so they can drive and earn their own living. An e-rickshaw is battery-operated, making for an eco-friendly form of transport. These women have quite a fair earning per month from which a very nominal amount goes as the equated monthly installment (EMI), the fixed payment made to the lender. Having one’s own livelihood creates a sense of pride and self-respect in marginalized women. So far, these volunteers of Enactus DCAC have been able to impact 52 lives. These women now know their worth and will be able to avoid being exploited by society. Now, their children can get a quality education and have a better hand at life. Most importantly, now there persists a smile of satisfaction on their faces! 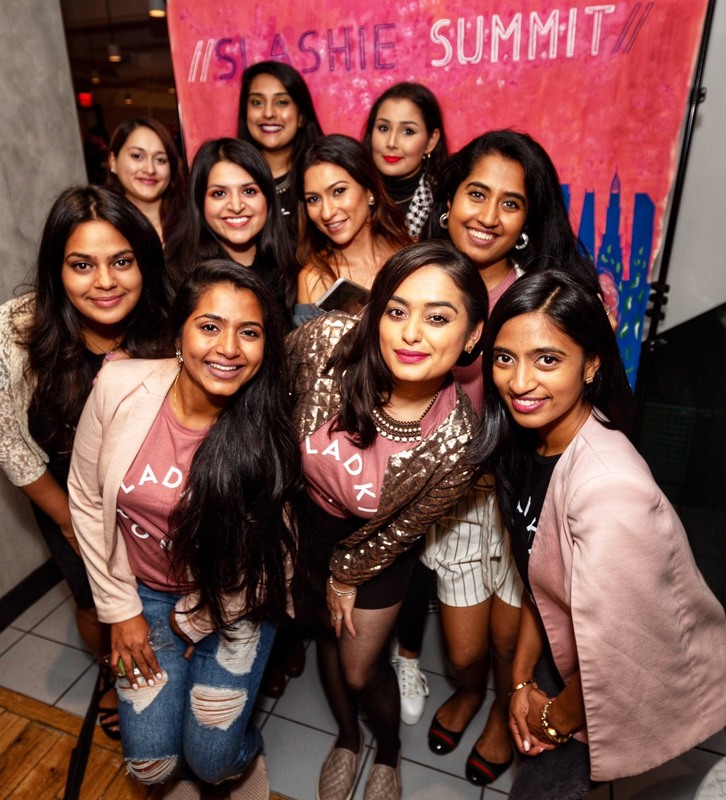 It’s been a long time coming, the shift towards empowering women. However, mere financial assistance is not a solution. This thought led to the birth of the project, which is not limited to women’s empowerment. The effects also include environmental sustainability and availability of jobs. E-vehicles are the future and are a rising player in the commutation sector, as far as control of rising pollution level and last-mile connectivity is concerned.